"Catfish," a documentary about a young man living in New York City who goes on a road trip -- accompanied by his brother and another friend -- to finally meet the gorgeous woman with whom he's been having an online romance, is one of the most nerve-wracking roller coasters of the year. The film opens with Yaniv "Neev" Schulman protesting directly to the camera being held by his brother Rel about his reluctance to participate in the documentary that Rel and his filmmaking partner, Henry Joost, want to shoot. Luckily, Neev gives in. With his killer smile and dreamy brown eyes, he proves to be an engaging tour guide. You like him, you root for him, you want him to be happy. Despite featuring several shots of Google Maps, Facebook, instant-messaging exchanges and the like, the film is never dull. The mood is always in flux, taking the audience from curious to amused to sad to scared and beyond, but it's organic, never feeling forced or manipulative. But others disagree, as there''ve been accusations that Joost and the Schulmans crossed the imaginary line of documentary ethics. While there''s certainly a conversation to be had about it, trying to untangle the issue mid-viewing would be a disservice to the film. Better to enjoy what is a great piece of story-telling and argue about it afterward. First-time director Casey Affleck chronicles Joaquin Phoenix attempt to transition from actor to rap star in this documentary. This has been an important year for documentaries, with some hailing it as possibly the greatest in the genre's history. But it's not just the qualtiy that's been so remarkable, but the way filmmakers have pushed the boundaries. "Exit Through the Gift Shop," the masterful documentary from the street artist Banksy that came out earlier this year forced audiences to reconsider what made a film a documentary. It was hailed for its innovative approach, in part, because it appeared to be Banksy being Banksy, the consummate artist and con-artist having fun with us once again. 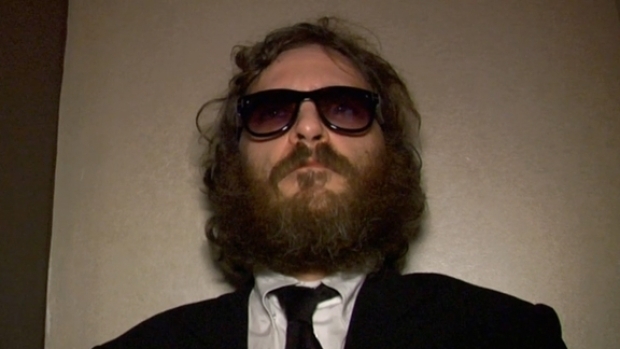 Then came "I'm Still Here," which was the culmination of Joaquin Phoenix's two-years-long performance art piece in which he pretended to give up acting to pursue a career as a rapper. From the day he announced his "retirement" there's was speculation that the whole thing was just an act -- something that was finally, mercifully confirmed by Phoenix's brother-in-law/director, Casey Affleck. But before the veil was lifted on the ruse, the film was released to general acclaim. "Catfish" is a very different animal, coming as it does from three unknowns. But like "Gift Shop" (we couldn't be bothered to see "I'm Still Here"), it's a fantastic story, regardless of how closely it sticks to traditional ideas about what a documentary is or should be. Don't read anymore about this "Catfish" -- no spoilers, no synopses, nothing -- just give yourself over to a fascinating look at the nature of identity and community, and one the most most emotionally jarring films of the year -- or don't. Either way, stop reading about it. "Catfish" goes into limited release today.